Nungu / Ice apple / Palm fruit is found in every street corner during summer in India. This translucent jelly fruit is known as ice apple of India due to its cooling effect. This fruit has lots of health benefits and so the palm fruit tree is referred to as the 'Tree of life'. Nungu / palm fruit is rich in vitamins, minerals, Iron, calcium and lots more which is good for human body. This fruit gives a better relief from itchiness of chicken pox and provides a cooling effect. Over all it is the best summer fruit that should be consumed to beat the heat. Different types of drinks, pancakes, desserts are prepared with this nutritious pulp. 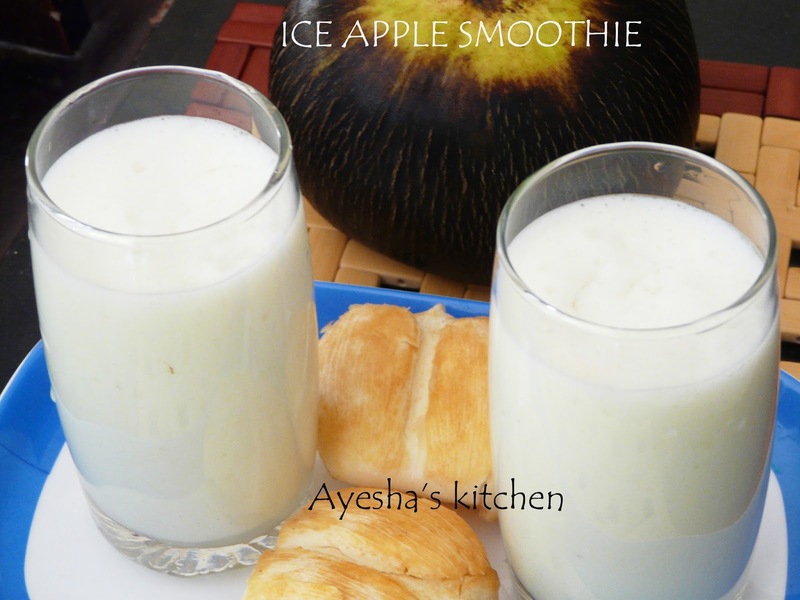 So here is a delicious smoothie recipe with nungu / palm fruit. Do try this smoothie and enjoy!!! 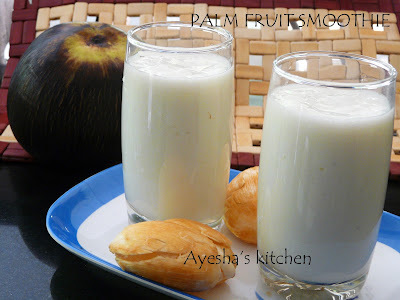 Remove the shell of palm fruit and take the flesh alone for the smoothie. Blend it with all other ingredients together and serve chilled. Enjoy!!!! !